event manager applet route-table-monitor event routing network 0.0.0.0/0 ge 1 action 0.5 set msg "Route changed: Type: $_routing_type, Network: $_routing_network, Mask/Prefix: $_routing_mask, Protocol: $_routing_protocol, GW: $_routing_lastgateway, Intf: $_routing_lastinterface" action 1.0 syslog msg "$msg" action 2.0 cli command "enable" action 4.0 info type routername action 5.0 snmp-trap strdata "Route changed: Type: $_routing_type, Network: $_routing_network, Mask/Prefix: $_routing_mask, Protocol: $_routing_protocol, GW: $_routing_lastgateway, Intf: $_routing_lastinterface" action 6.0 cli command "end" action 7.0 cli command "exit"
action 0.5 set msg "Route changed: Type: $_routing_type, Network: $_routing_network, Mask/Prefix: $_routing_mask, Protocol: $_routing_protocol, GW: $_routing_lastgateway, Intf: $_routing_lastinterface"
action 1.0 syslog msg "$msg"
action 5.0 snmp-trap strdata "Route changed: Type: $_routing_type, Network: $_routing_network, Mask/Prefix: $_routing_mask, Protocol: $_routing_protocol, GW: $_routing_lastgateway, Intf: $_routing_lastinterface"
action 7.0 cli command "exit"
aaa group server radius rad_server server-private X.X.X.X auth-port 1812 acct-port 1813 key SECRET_KEY ip vrf forwarding MGMT ! aaa authentication login default group radius rad_server local aaa authorization console aaa authorization exec default group radius rad_serverl local ! ip access-list standard aclMgmtLineVty permit X.X.X.X deny any ! line vty 0 15 access-class aclMgmtLineVty in vrf-also exec-timeout 240 0 transport input ssh ! Les seedbox ne manquent pas, un petit tour sur google vous donnera un très large choix. Il y a aussi l’option de prendre un serveur dédié et d’installer ce qu’il faut dessus pour faire vos downloads. Perso c’est la meilleur solution si vous avez les connaisses pour mettre en place votre machine ! Voici le petit outils très sympatique qui va vous permettre de faire du téléchargement DDL en CLI. Il sagit de Plowshare. Plowshare est compatibale avec plus de 70 sites de DDL. 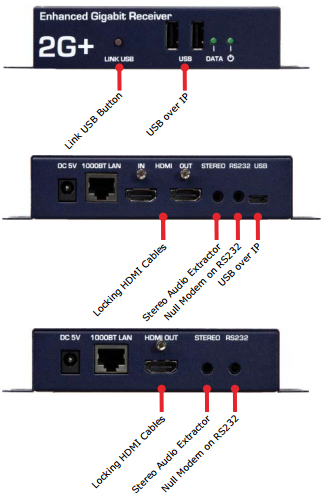 ssh-keygen -t rsa -b 4096 -f ~/.ssh/id_rsa -q -P ""
Les produits Just Add power sont des petits boitiers servant à distribuer un signal HDMI over IP. Il y a pas mal de fonctionnalités notamment la Matrice pour faire des “Video Wall”, USB over IP etc. C’est vraiment du très bon matériel. Si vous êtes interessé, contacté moi ! Est-ce que vous avez aussi un problème pour mettre une access-list sur un accès SSH ou telnet d’un router qui se trouve dans une VRF ? Once you’ve opened a log file (or any file) using less file-name, use the following keys to search. Please note that the match will be highlighted automatically by default. / – search for a pattern which will take you to the next occurrence.
? – search for a pattern which will take you to the previous occurrence. Use the following screen navigation commands while viewing large log files. The following are other navigation operations that you can use inside the less pager. Once you’ve opened a file using less command, any content that is appended to the file after that will not be displayed automatically. However, you can press F less command will show the status ‘waiting for data‘. This is as similar to ‘tail -f’. Also, refer to our earlier article about how to view multiple logs files using tail -f.
Similar to Vim editor navigation command, you can give 10j to scroll 10 lines down, or 10k to go up by 10 lines. 10j – 10 lines forward. 10k – 10 lines backward. CTRL+G – show the current file name along with line, byte and percentage statistics. v – using the configured editor edit the current file. &pattern – display only the matching lines, not all. config bootconfig tz dst-name "ECT"
config bootconfig tz name "ECT"
Have an unsupported gbic module ?